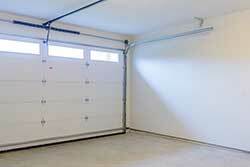 A garage door often gets more usage than any other outside door in your house or company building. To make entering your garage as simple and convenient as possible, we offer several varieties of motion detectors and remote door openers. These range from relatively inexpensive standard devices to the latest in technology that combines faster operation with reduced noise. Whatever your budget, we can supply you with an opener you will like. We will install your new device system and remove the old one if you have one. We will make sure that you fully understand exactly how your new opening system works to make sure you are able to fully enjoy the convenience of your opening system. Jacksonville Garage Door And Opener is a complete resource for all of your garage door system needs. We are at your service in Jacksonville, FL 24/7 so never think twice about calling and speaking to one of our on-call representatives. That’s the core of our business and we enjoy serving you in any way that we can.